MELBOURNE, Fla., Feb. 12, 2004 (PRIMEZONE) -- A team led by Northrop Grumman Corporation (NYSE:NOC) has refined the definition and functionality of its proposed architecture for a next generation U.S. Air Force battle management system with an exercise involving live and simulated military components. The team-funded tests, known as Crew Area Virtual Environment Exercises (CAVEX), were conducted this week at Northrop Grumman's Melbourne facility. The exercises follow the successful completion of the system requirements review for the battle management command and control (BMC2) system for the Air Force's E-10A Multi-Sensor Command and Control Aircraft. The award for the BMC2 subsystem is expected later this year. "The CAVEXs are the latest in a series of exercises we've developed to test and demonstrate the robustness of the concepts for our BMC2 subsystem proposal for the E-10A Multi-Sensor Command and Control Aircraft," said Paul Meyer, sector vice president for Northrop Grumman Integrated System's Advanced Capabilities Development organization. "The exercises lead up to a larger-scale BMC2 exercise called Constellation III that we're planning for early spring." 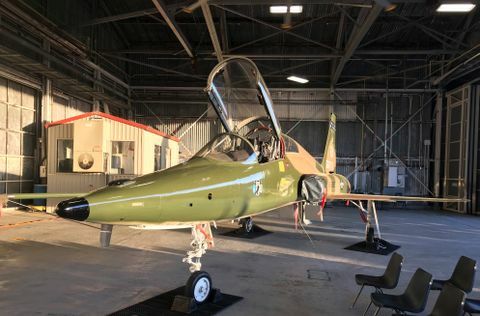 The Northrop Grumman team plans to showcase its CAVEX and Constellation contributions at this week's AFA Air Warfare Symposium in Orlando, he added. "During the Constellation II exercises in December, we validated the architecture and substantiated our software reuse with more fidelity than a typical cost-as-an-independent variable study. In Constellation III we will validate target prosecution capabilities beyond current joint requirements," explained Meyer. As in last year's Constellation I and II exercises, the CAVEXs involved a test crew of trained airborne operators and engineers "flying" in Northrop Grumman's BMC2 Crew Area Virtual Environment (CAVE), a 40-foot mockup of a Boeing 767-400R fuselage equipped with a full suite of BMC2 operator consoles. The CAVE operates effectively as an E-10A BMC2 subsystem within a realistic war-fighting environment provided by Northrop Grumman's corporate-wide Cyber Warfare Integration Network (CWIN). The CWIN environment includes connectivity to external industry participants providing live and synthetic battlespace components such as a simulated Air and Space Operations Center, an E-10A BMC2 mission aircraft, fighters, bombers and unmanned aerial vehicles. The Constellation III exercise will be centered in Melbourne and will include interaction with test crews operating remote BMC2 crew stations at Northrop Grumman's CWIN node in Washington, D.C. The CAVEX and Constellation exercises used defined Measures of Effectiveness and Measures of Performance to validate the Northrop Grumman team's proposed BMC2 net-centric architecture. The team's architecture emphasizes cruise missile defense, time-critical targeting, and performance improvements in dynamic air tasking order execution. These tests and exercises are also used to assess training objectives and contributions to effects-based joint operations in which the E-10A BMC2 subsystem participates. The BMC2 subsystem serves as a central hub in a Defense Department-wide network of command and control, and intelligence, surveillance and reconnaissance systems, providing sensor data and advanced cross-cueing capabilities in areas such as missile defense. 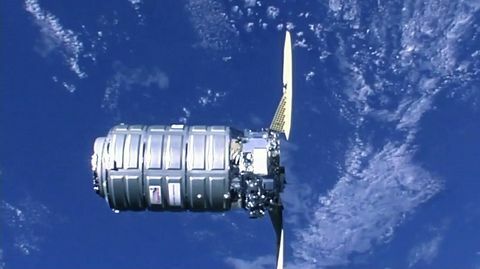 The Northrop Grumman BMC2 team is led by the company's Integrated Systems sector and includes four other sectors (Electronic Systems, Information Technology, Mission Systems and Space Technology). The team also includes Harris Corp., Melbourne, Fla.; General Dynamics Corp., Arlington, Va.; Cisco Systems, San Jose, Calif.; Oracle Corp., Redwood Shores, Calif.; Zel Technologies (ZelTech), Hampton Roads, Va.; Alphatech, Burlington, Mass. ; L-3 Communications West, Salt Lake City, Utah; and L-3 Comcept, Rockwall, Texas. 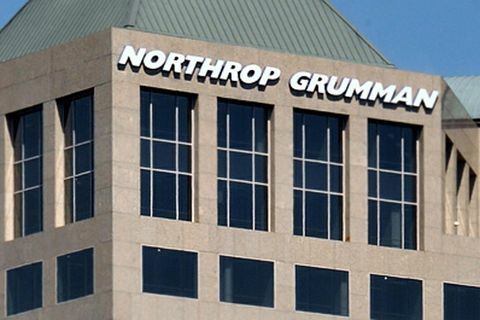 Northrop Grumman's Integrated Systems sector is a premier aerospace and defense systems integration enterprise. Headquartered in El Segundo, Calif., it designs, develops, produces and supports network-enabled integrated systems and subsystems for government and civil customers worldwide. Integrated Systems delivers best-value solutions, products and services that support military missions in the areas of intelligence, surveillance and reconnaissance; space access; battle management command and control; and integrated strike warfare.